"One girl, two lives. Which is real?" A tense and dark psychological thriller full of unexpected twists and turns about the random events and decisions that make us who we are. If you can't trust your own memories, then who can you trust? Hilary Freeman is a freelance journalist and agony aunt who lives in Camden Town, London with her partner. She has had six books published by Piccadilly Press and has been shortlisted for several book awards. 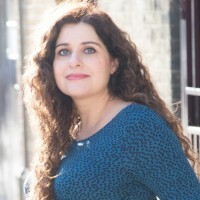 An award-winning journalist, she contributes regularly to the DAILY MAIL, MAIL ON SUNDAY, and other magazines, newspapers and websites, and makes regular appearances on radio and TV. Follow Hilary at www.hilaryfreeman.co.uk or on Twitter: @HFreemanauthor.